Join the Greatest Spectacle of the year with Lifa Air! Visit us at IFA 2017 (Berlin ExpoCenter City Hall 9, Booth 110) as we unveil the latest in smart home technologies. 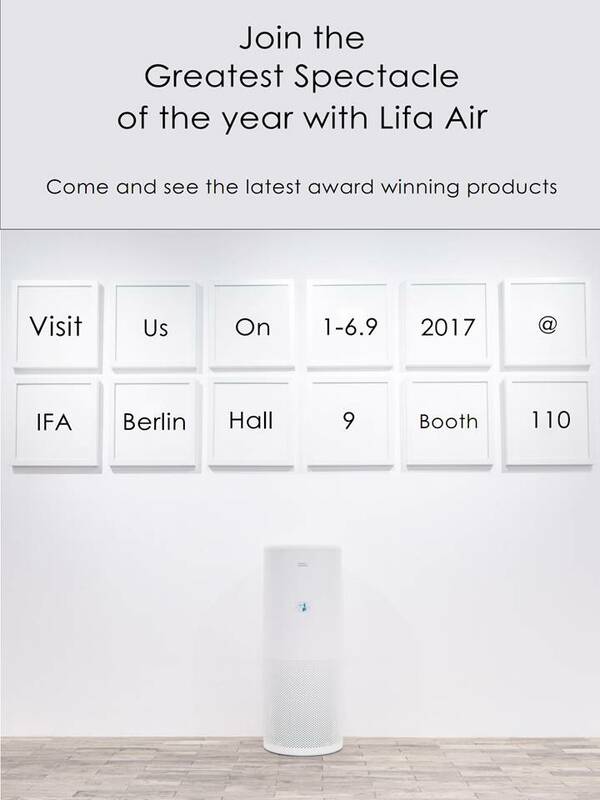 With a focus on home and personal smart air purifiers, Lifa Air uses advanced cleaning technology to develop innovative consumer products underpinning the company’s ethos, “Be Protected” to create high quality and Smart Air Purifiers for the home environment.